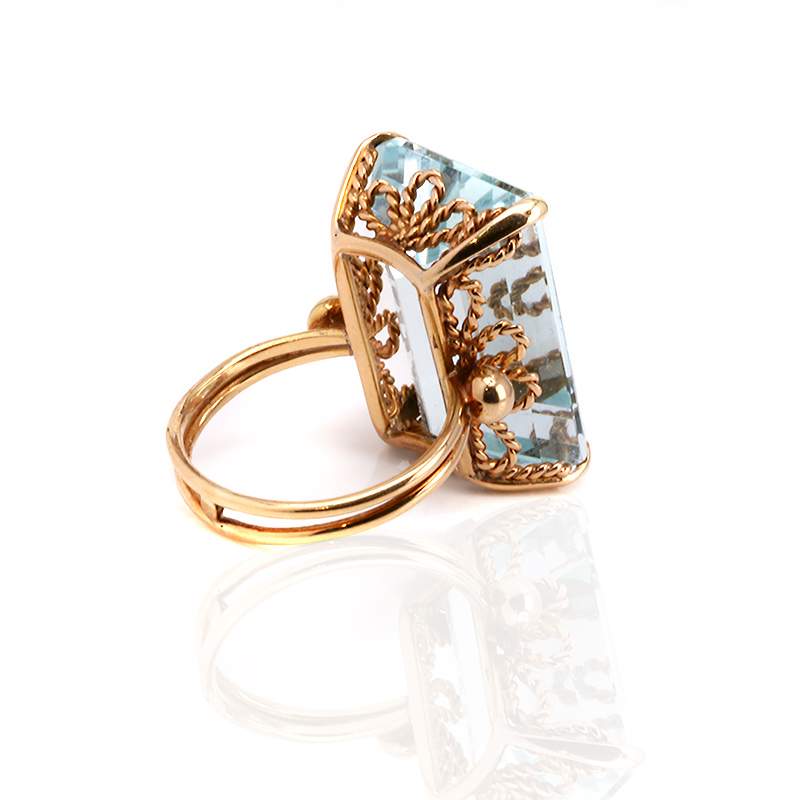 Product code: ES7150 Categories: Sold Items, Sold Rings. Here is an incredible ring that will take your breath away when you look down and see it on your finger, a truly magnificent 18ct Emerald cut aquamarine ring that is sure to impress. So beautifully hand made to compliment the aquamarine, the emerald cut aquamarine measures an impressive 20.8 carats and is such a fine blue colour with a great consistency to it and wonderful transparency. The colour of this aquamarine is just perfect and looks spectacular on the finger, and the setting measures 15.4mm across by 22.7mm making it sure to be noticed and admired day or night. 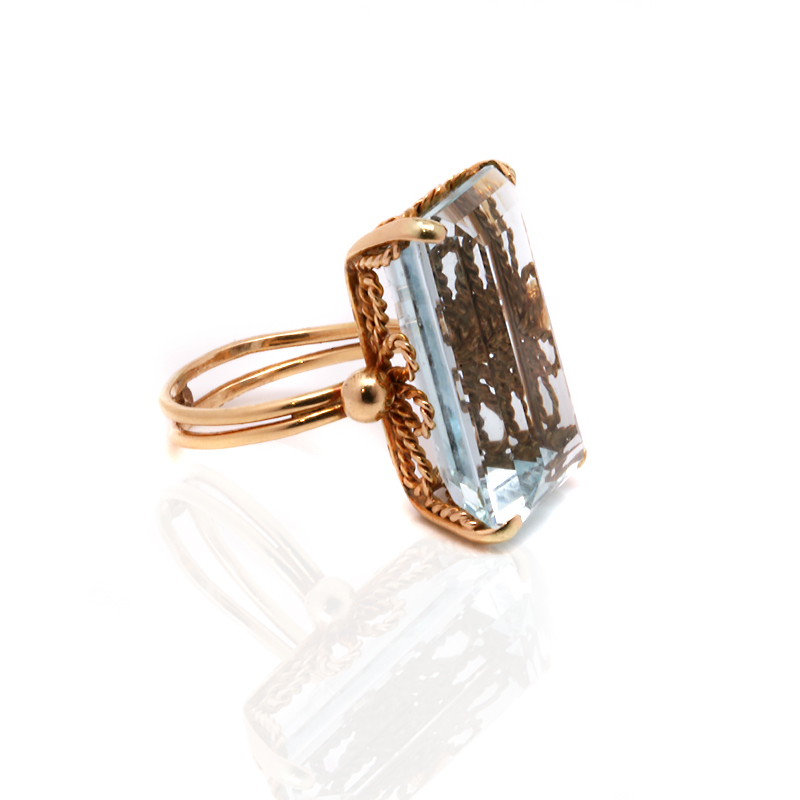 Even the setting is beautiful with the most elegant scroll work that shows how much detail went into making this ring and showcasing the lovely aquamarine to its full potential. If you have been after a ring with that “wow” factor or a fabulous aquamarine, or perhaps both, then this might just be the ring you have been looking for.